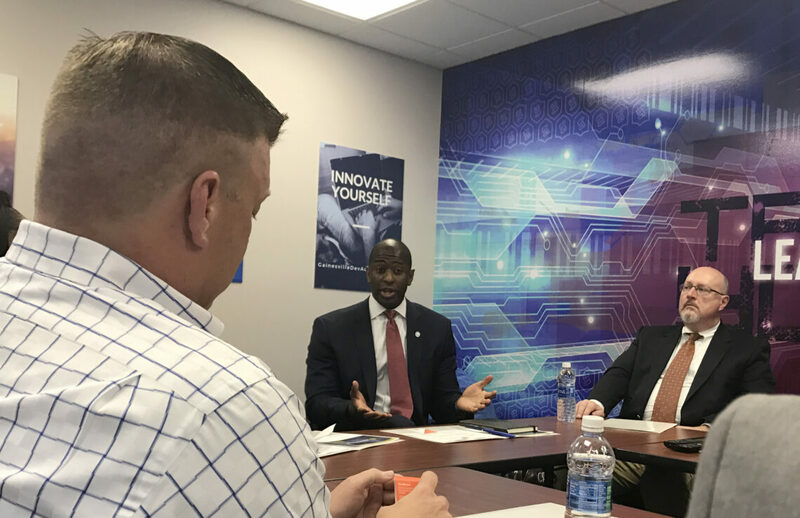 Tallahassee Mayor Andrew Gillum, one of two declared candidates in Florida’s 2018 gubernatorial race, spoke and listened to a group of community representatives Tuesday afternoon regarding the future of Florida. The roundtable event, which was designed to provide an outlet for locals to discuss issues pressing to them, allowed the Gainesville-raised Democrat the opportunity to discuss his perspective on the current state of politics. At the table with Gillum were Gainesville City Commissioner’s Adrian-Hayes Santos and Harvey Ward, local tech startups Gainesville Dev Academy and ITProTV, and the local Gators for Gillum initiative. In the roundtable discussion followed by an interview with the Florida Political Review, Gillum outlined his campaign message and his future aspirations if he were elected on the issues of climate change, education reform, and the economic conditions burdening Floridians. Gillum made it clear that the current education system is broken and that our current elected representatives in Tallahassee are not looking out for their constituents. 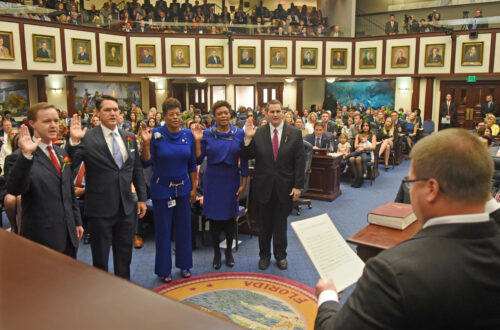 He explained that the current system employed by State Speaker Richard Corcoran and Governor Rick Scott has created an environment where Florida ranks at the bottom of national education rankings. He said the approaches currently utilized are an effort to push the public-school system into a private based approach. Gillum stated that he believes we should be funding the Tampa Bay Times-turned-Corcoran labelled “failure factories” first and then, can we branch out into the funding of charter schools. The mayor took particular aim at “high stakes testing,” which he says is driving students towards consuming anxiety pills. According to Gillum, under his leadership, there would be a seismic shift in education. As an example of that, he says there would be a reinfusion of skills based education with an emphasis on technology. Referring to the Trump administration’s actions towards immigration and students Gillum said he is in favor of in-state tuition for DACA and DAPA students. One of the most glaring issues on display Tuesday was the impact of climate change is having on Florida and lack of attention given to it by Governor Rick Scott and current Florida Commissioner of Agricultural and rumored 2018 Republican gubernatorial candidate Adam Putnam. Gillum pointed to the reported damage rising sea levels is having on our state and economic impact it will have in the future. He singled out issues surrounding South Florida specifically road closures due to sea level rise and the intrusion of seawater into freshwater aquifers. As a response, Gillum said we might need to start investing in building up our land and putting more empathize on renewable energy such as solar, which he touts an accomplishment during his time as Tallahassee mayor. After hearing the impact of the recent Lake Okeechobee algae bloom and subsequent release from UF junior David Melito, Gillum said we have been let down by our federal and state government. What will surely be his most vocal and far-reaching narrative over the next 18 months, Gillum began to lay the groundwork for his economic message which will center on not just job growth but also wage growth. This statement comes in the wake of a political quandary when it comes to job numbers in Florida. Currently, Florida is one of the leading states in the nation in terms of job growth, however, a majority of those jobs earn a low-wage income. According to Florida TaxWatch, the state added 257,000 jobs in 2016 but an updated United Way ALICE report shows that nearly 67 percent of jobs within the state pay less than $20-per-hour. A further breakdown of those numbers, according to United Way, shows the dangers of affording health insurance and other necessities under the burden of a low paying job. However, in an acknowledgment of economic and political factors, Gillum said that living wages are indexed on a county and city scale and reiterated that jobs should pay more than simply the minimum wage. Gillum weighed in on the Enterprise Florida debate but offered an alternative discussion point for the controversial quasi-state operation. Gillum said he believes the program should offer scholarships and grants so that Florida can retain and utilize the skilled individuals already located here. Although Gillum understands that the general election will not be for another 18 months, this meeting is just the beginning of his plan to bring his relatively new political name to every county in the state with the hope that his humble origin story and dedication to empowering every Floridian connects. 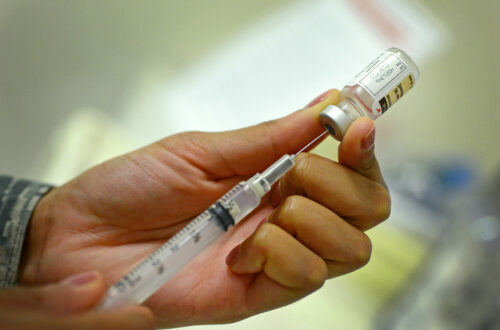 Is Florida Defenseless Against Measles? 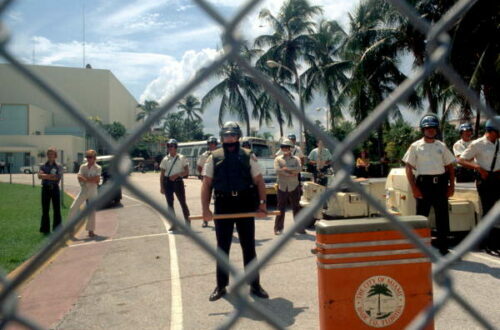 Mar 28, 2019 Is Florida Defenseless Against Measles?